There have been Doctor Who fans for as long as there has been Doctor Who. And like the show itself, fandom has spent decades evolving into a global phenomenon, with enthusiasts in such far-flung territories as the United States, China and New Zealand. If you’re new to Doctor Who, or curious about the way its viewers are inspired by the programme, then this unique guide will tell you everything you need to know about television’s most devoted fans. Eric has a nasty fall after unaccountably finding himself at the top of a very large radio telescope. As it’s curtains for him, Mike and Richard make the best of things and have a chat about the recent Doctor Who trailers, the panel from San Diego Comicon, Phil Morris’s tweet “Time to return… Doctor Who” and what that might mean about Missing Episodes (nothing), the rumoured animations and the main feature, the Season 12 Blu-ray. 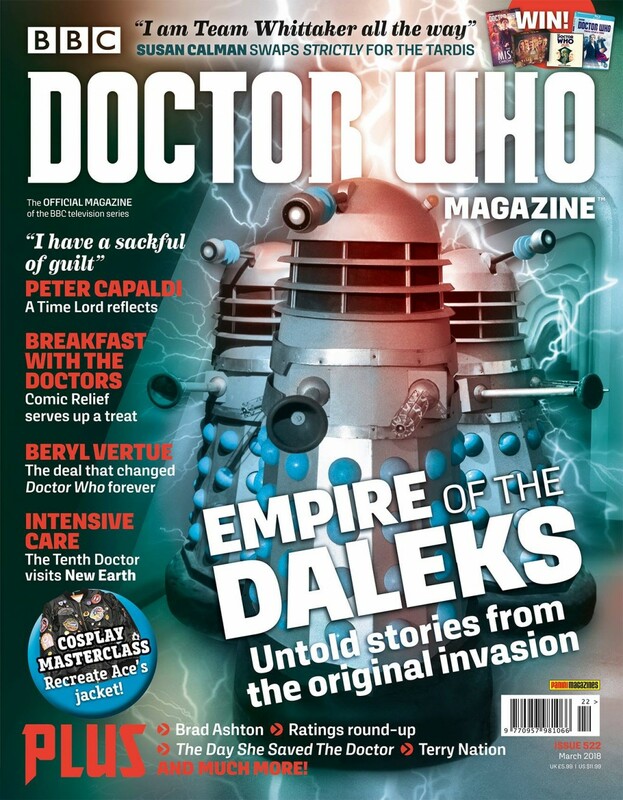 The full story revealing more details about the secrecy that went on, how the shoot happened and who else received those all-important calls is in the new issue of DWM. Doctor Who Magazine 528 is on sale Thursday 26 July, price £5.99. 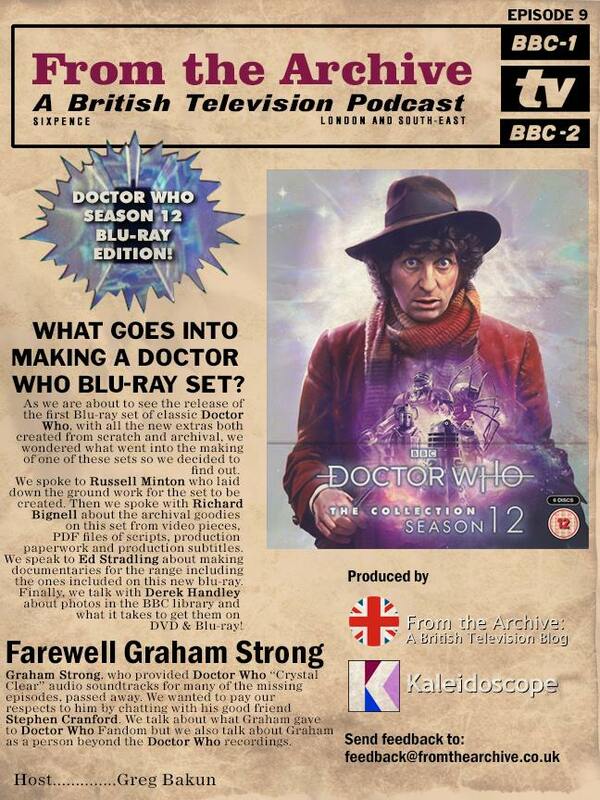 From the Archive: Episode 9: Doctor Who Season 12 Blu-Ray Edition! The Grumpcasters conclude their discussion about the Omnirumour and reasons to be optimistic about our prospects for the return of more missing Doctor Who. Servo also froths about Australia, Richard is oddly pink and Eric can’t stop saying verisimilitude when talking about the rumours. Don’t mention mock accents. We did it once, but I think we got away with it. Yak yak yak! Join the debate on PMF. Follow on Twitter @grumpcasters. 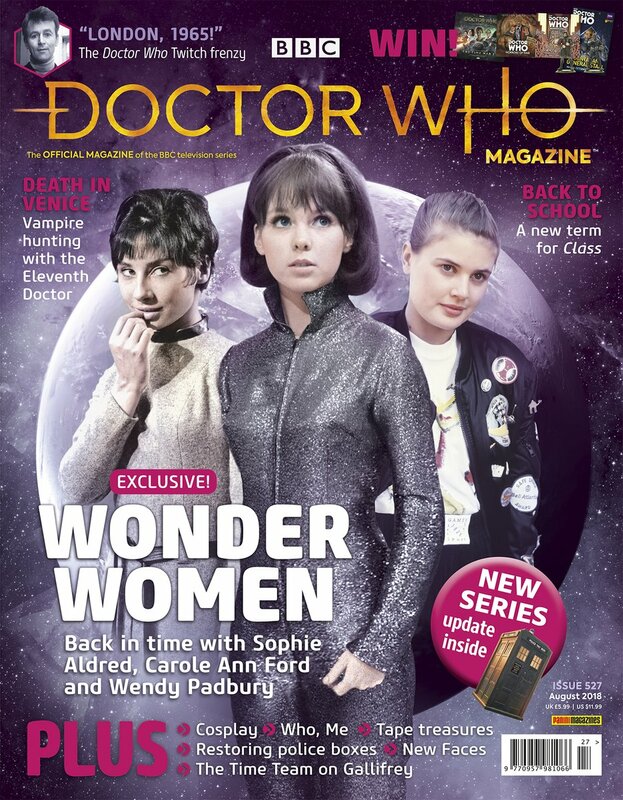 DOCTOR WHO STARS WENDY PADBURY, CAROLE ANN FORD AND SOPHIE ALDRED TALK EXCLUSIVELY IN DWM! Meanwhile, Carole Ann Ford, who played the First Doctor’s granddaughter Susan, says she would most like to meet… “Jodie Whittaker. I really would like to meet her. Wouldn’t it be fun?! What would I say to her? “Hello grandma!” Jodie’s got a very strong presence. I saw the moment she arrived [in Twice Upon a Time]… The TARDIS is spinning around in space now, but in my time, in the olden days, you could never have the doors of the TARDIS opening in space while it was in flight. Class cast members Greg Austin, Fady Elsayed, Vivian Oparh and Jordan Renzo, and composer Blair Mowat, talk about the spin-off series’ new audio adventures at Big Finish. An inside look at Twitch’s viewing marathon which is live-streaming over 500 episodes of Doctor Who‘s original 1963-89 run. One man’s mission to save the disappearing police boxes from the streets of Glasgow. The third part of our series of articles looking back at the ways new Doctors have been introduced to the public. Australian comedian Rob Lloyd tells DWM about his Doctor Who themed show Who, Me. A tribute to Graham Strong, the man who made soundtrack recordings of 1960s Doctor Who. Part Four of The Clockwise War, our new comic strip adventure featuring the Doctor and Bill, written by Scott Gray and illustrated by Martin Geraghty. The Time Team takes a virtual trip to Gallifrey, watching three adventures set on the Doctor’s home planet: 1969’s The War Games, 1976’s The Deadly Assassin and 2015’s Hell Bent. This issue’s Fact of Fiction delves into the 2010 Eleventh Doctor story The Vampires of Venice. We show you how to make Captain Jack Harkness’ favourite gadget in a simple step-by-step guide. The Blogs of Doom, previews, DVD and audio reviews, news, prize-winning competitions and much, much more! 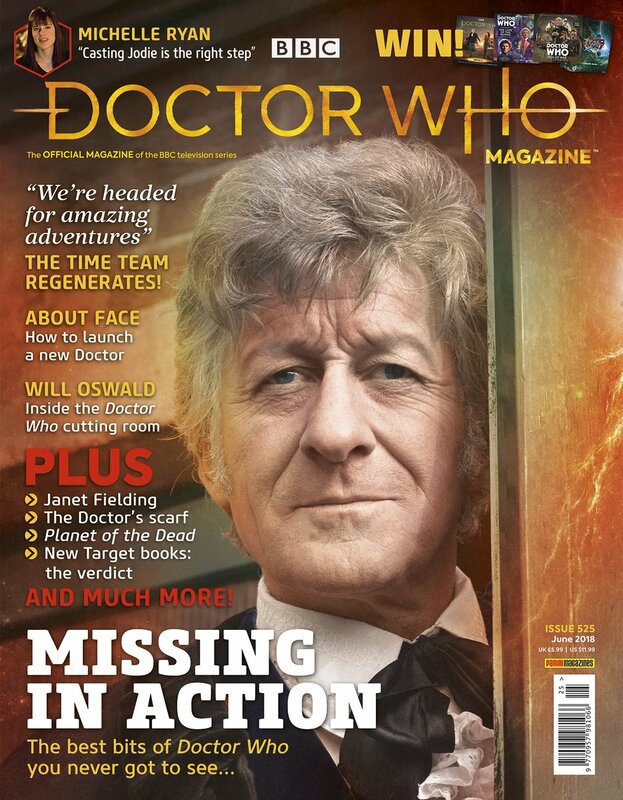 Doctor Who Magazine 527 is on sale from Thursday 28 June, price £5.99. Eric’s having bad dreams again, but Mike and Richard are on hand to distract him by chatting about the history of Missing Episodes. The Grumpcasters then tackle the Omnirumour and the prospects of getting more material back from Mr Morris, in the first of a two part special (Can we call all of them specials and get away with it?) Eh, nice one la’! Doctor Who’s predictions of the future have depicted the destruction of planet Earth and the ultimate collapse of the universe. Alien superpowers have subjugated star systems and galactic empires have fallen, leaving only a few witnesses to the end of time itself. 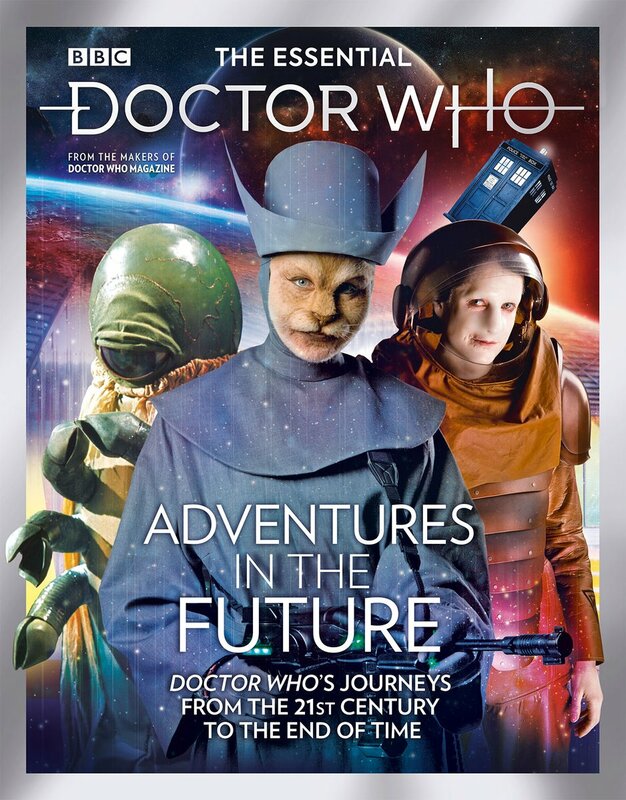 This lavish publication sets the TARDIS co-ordinates for a journey into this dangerous realm, exploring landmark episodes and meeting the talents who brought them to the screen. Packed full of exclusive features, including a wealth of previously unseen images, this is the essential guide to the series’ greatest futuristic adventures. 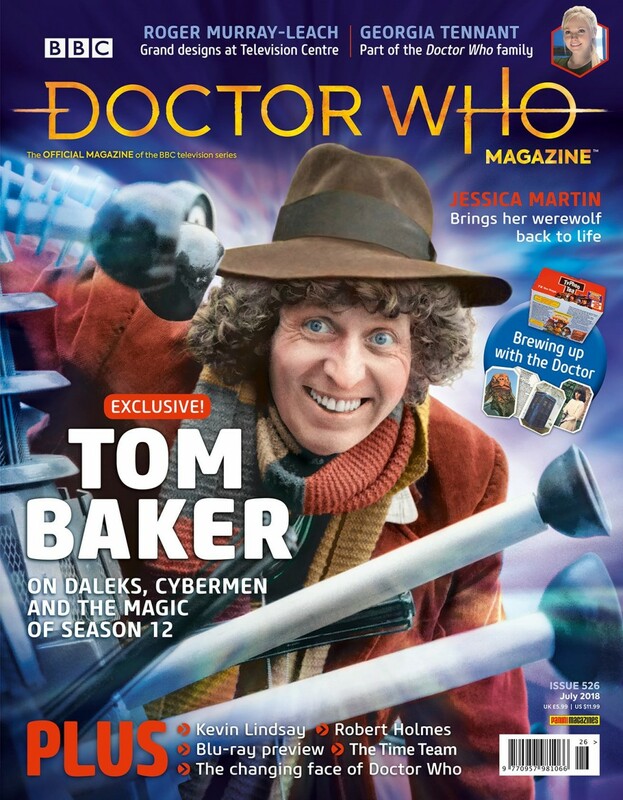 TOM BAKER REVISITS HIS FIRST SERIES AS THE DOCTOR IN AN EXCLUSIVE INTERVIEW! An extensive interview with the production designer who achieved the impossible on Season 12 of Doctor Who. How Season 12 script editor Robert Holmes created a storytelling formula that continues to influence the modern series. The life and career of the Australian actor who played Styre in Season 12’s The Sontaran Experiment. The untold story of how Doctor Who led a marketing campaign for tea bags in 1976. The actress talks about how her life has changed since she made her Doctor Who debut – and met her future husband – in 2008. Jessica talks about illustrating her character Mags (from The Greatest Show in the Galaxy) for a new Seventh Doctor comic. The second part of a series looking at how new Doctors have been introduced to the public. It’s hankies at the ready as the Time Team watch tearjerking episodes from 1982, 2006 and 2010. The Blogs of Doom, previews, DVD and audio reviews, news, prize-winning competitions and much more! 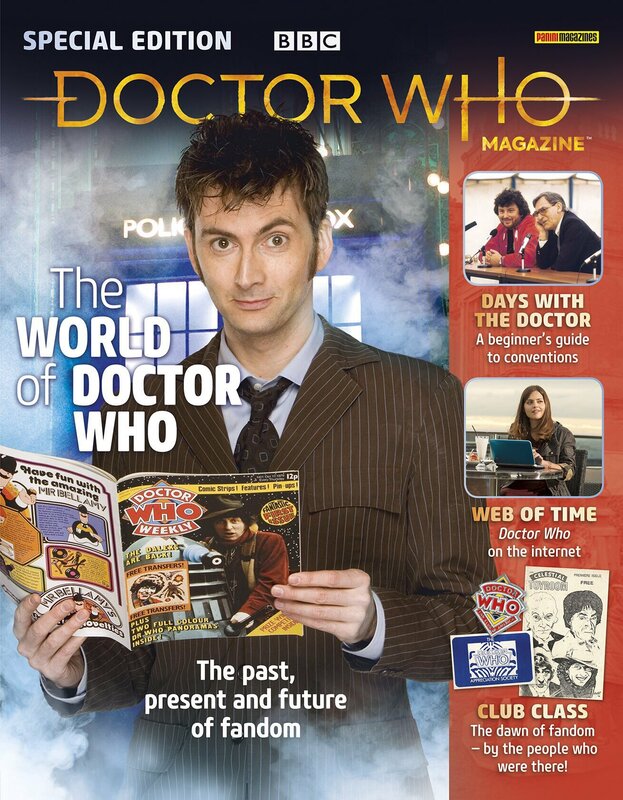 Doctor Who Magazine 526 is on sale from Thursday 31 May, price £5.99. Despite the original episode 3 being stolen to order, Eric, Servo and Richard re-record and review the entire Moffat era in a distinctly low brow and shallow way. They’re even nice about bits of it… bits. From scenes which didn’t make the final cut to characters who were completely edited out… Issue 525 of Doctor Who Magazine brings you the best bits of Doctor Who you never got to see! • The Time Team returns – and they’ve regenerated! • Previews, book and audio reviews, news, The Blogs of Doom, prize-winning competitions and much, much more! In 1963 Sydney Newman and Donald Wilson devised an ambitious concept that would stretch the BBC’s technical resources to the limit. In its earliest days Doctor Who was jeopardised by a fierce dispute over facilities. The programme survived, but never stopped demanding the very best from its studios and dedicated crews. 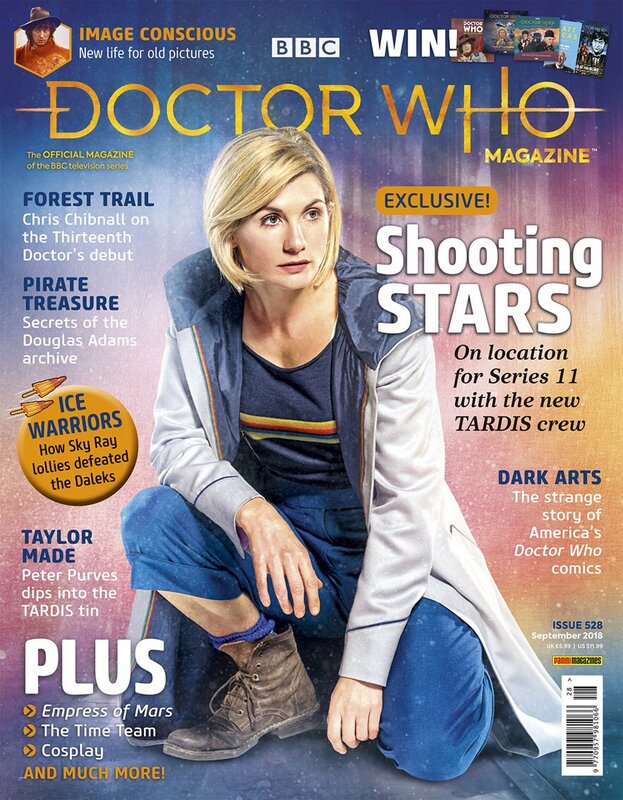 The latest Doctor Who Magazine Special Edition tells the story of the series’ sometimes difficult evolution from relatively primitive beginnings to the cutting edge of modern television production. Packed full of all-new features and previously unseen images, this is the ultimate guide to the studio recording and filming of Doctor Who. The former showrunner returns to write this issue’s Production Notes column. Inside the Los Angeles convention that’s renowned as one of the greatest Doctor Who events in the world. An exclusive preview of the ambitious new game starring Michelle Gomez as Missy and Ingrid Oliver as Osgood. Impressionist and Doctor Who fan Jon Culshaw answers randomly selected questions from the TARDIS tin. The life and career of the actor who played Nyder in the classic 1975 story Genesis of the Daleks. All the Doctor Who releases from the record company run by the BBC from the late 1960s to the early 1990s. The untold story behind the creation of Doctor Who’s 2010-17 logo. The DJ and drummer is interviewed about his remarkable Doctor Who-themed album New Adventures in Time & Space. Christel Dee’s guide to cosplaying the Doctor’s distinctive orange spacesuit. Exploring the hidden depths to the 2015 story Sleep No More. Part one of a new comic strip adventure written by Scott Gray and illustrated by John Ross. News, previews, book and audio reviews, competitions, The Blogs of Doom and much more! Doctor Who Magazine 524 is on sale now, price £5.99. A tribute to the late writer, whose stories include The Stones of Blood, The Leisure Hive and the original version of City of Death. 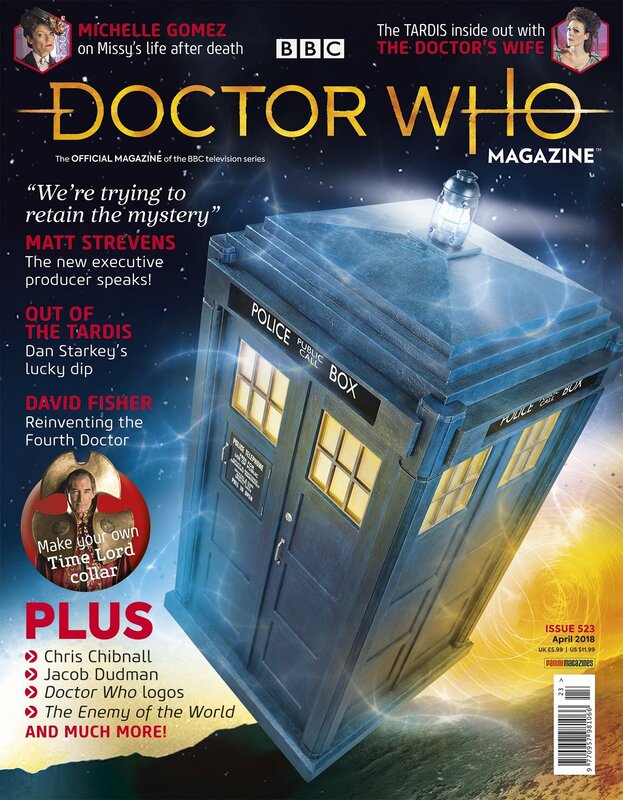 Doctor Who Magazine issue 523 is on sale now, price £5.99. Ooh, I do like a good whodunnit. Mix in some SF, and the result can be great. But you have to be careful to play fair with the reader/listener. Your audience should have a chance to solve the mystery ahead of your sleuth – (their reaction when the culprit is revealed should be “Of course, how could I have missed that?” rather than “Huh?”) And of course this becomes even trickier when there is the possibility that some futuristic technology was used to carry off the perfect crime. Isaac Asimov managed to pull off classic SF whodunnits in “The Caves of Steel” and “The Naked Sun”, and Larry Niven has done so in numerous short stories. They succeeded because despite the futuristic setting, the solutions always relied on things the reader knew, not just the characters and their motives, but relevant facts about the operation of matter transmitters and the Three Laws of Robotics. Does “Serpent” manage the same standard? Well, not quite, but it does quite well. I found this great fun, with the same TARDIS crew as ‘Ghost Walk” investigating while, of course, coming under suspicion themselves. The Doctor claims to be ideally placed to play detective because he’s “read every Agatha Christie from cover to cover” – I suspect he isn’t including the Mary Westmacotts or the adventures of Mr Harley Quin (yes, I’m afraid I actually have read every Christie) – and this adventure is, indeed, rather reminiscent of her works, with a cast of somewhat stereotyped (but amusing) suspects, and the murders suitably cunning. And without giving anything away, the culprit (or culprits) do, in fact, use a plot device that appears in at least one Christie whodunnit. So, why the “not quite” above? I will try to tread carefully here, not wishing to spoil anything for anyone, and just say that the solution was rather too convoluted, and the important twist involved rather more technobabble than it should have done – both in my opinion, of course. So, if you want to work out how various things were done ahead of the big reveals, well, the answer to one of the minor puzzles is blindingly obvious (and I can only assume the investigating office had never been on a space station before, since he completely missed it), while the answer to the main crime will involve careful attention to details, and possibly a few leaps of the imagination. That said, this is in many ways a classic Dr Who scenario, and none the worse for it. The cast carry off their roles with their usual flair, the incidental music has an 80s Who vibe, the pacing is good, there is plenty of humour and a small dash of social comment. The setting didn’t grab my imagination to the same extent as the one in “Ghost Walk” but a space station, even one with every luxury on tap, inevitably tends to come across as a little sterile. 8/10 – recommended, with a couple of minor caveats. This title was released in March 2018. It will be exclusively available to buy from the BF website until April 30th 2018, and on general sale after this date. You are cordially invited to Argentia, the galaxy’s most exclusive tax haven, to attend the funeral of mining magnate Carlo Mazzini. The memorial service will be followed by music, light refreshments, and murder! Carlo’s heirs have come to say their final goodbyes (and find out how much they’ve inherited) but when a masked killer begins picking them off one by one, Argentia goes into lock-down, closed off behind its own temporal displacement field. 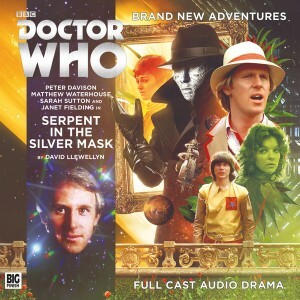 Can the Doctor, Nyssa, Tegan and Adric apprehend the murderer before Argentia – and everyone on board – is forever cut off from the rest of the Universe? Peter Davison (The Doctor), Janet Fielding (Tegan Jovanka), Sarah Sutton (Nyssa), Matthew Waterhouse (Adric), Samuel West (The Mazzini Family), Phil Cornwell (Superintendent Galgo / Zaleb 5), Sophie Winkleman (Sofia). Other parts played by members of the cast. Eric and Servo take an often cheesed-off look at TUAT (however that’s pronounced), the politics of Moffat, the next Doctor, collecting the Target books and upcoming releases then take a deep dive into the dreaded Omnirumour… and all in under an hour. There is something lurking in the catacombs beneath the city, something that may or may not be supernatural. 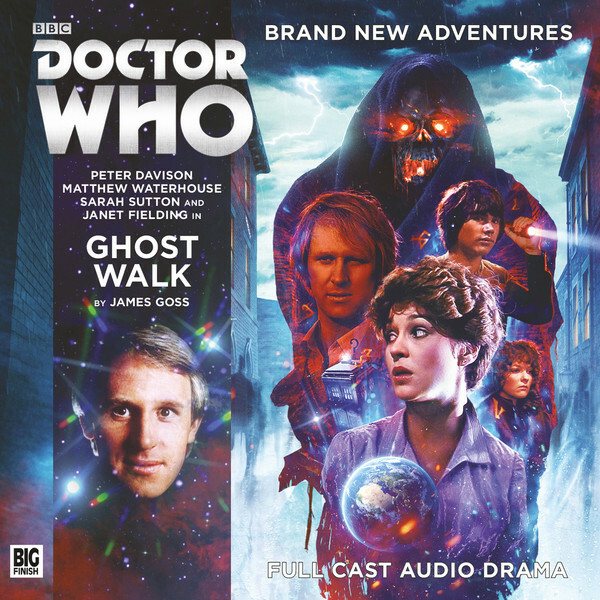 Leanne runs a Ghost Walk. She takes tourists to visit the most haunted sites – the Hanging Yard, the Witch Pool, and the catacombs. Like any tour guide, she tries to make the experience as spooky as possible, but doesn’t herself believe a word of it – until she starts to hear a voice inside her head telling her that something sinister is going on, something which could lead to the above quote coming true. The voice may or may not be a ghost – but listeners will immediately recognise it as the Fifth Doctor. And so begins a clever, tense story that cuts back and forth between the present and the 18th century, that has lashings of atmosphere, pace and characterisation, especially from Fenella Woolgar as Leanne. And despite the fact that we think we know what ultimately becomes of Tegan, Nyssa and Adric, not to mention the Doctor himself, one of the sign of how good the writing is are the moments where I was genuinely wondering how they’d get out of this one. The companions all get a piece of the action and come across well, but the highlights are Leanne and the Doctor. If you thought that Peter Davison was a bit too young for the role at the time, as he himself does, then it’s nice to see, or at least hear, the “grown up” version. Despite his apparently ghostly status, the Doctor isn’t a passive witness to events, getting in some timey-wimey shenanigans and a bit of bricklaying, amongst other things. Another tribute to the writing (perhaps a bit back-handed) is that certain things that might easily have jarred were carried off with sufficient aplomb to be overlooked, at least by this reviewer. Comparing psychic projection with email – “I’m the Doctor. I’m the link you shouldn’t click” made me LOL rather than cringe, and a few historical anachronisms that may have grated in the hands of a lesser writer just raised a smile (torches and pitchforks? Ducking stools being used on witches?) This was helped by the fact that they weren’t gratuitous, but vital to the story – as were all the tourists’ destinations mentioned above. In fact the whole thing fits together very nicely, each part clicking into place like a Key to Time. Highly recommended. This title was released in February 2018. It will be exclusively available to buy from the BF website until March 31st 2018, and on general sale after this date. This is a city of ghosts and no-one knows them better than Leanne. Twice a night she leads tourists to visit the most haunted sites – the Hanging Yard, the Witch Pool, the Screaming House, and, of course, the Catacombs. Leanne’s realised the ghosts of the city are real. Something’s lurking in the Catacombs – an ancient force that has been growing in the darkness for centuries. Sabaoth is returning and they must be stopped before they devour the world. Leanne knows this, because a ghost told her. A ghost called The Doctor. Other roles played by the cast. Ever since the TARDIS was first revealed in 1963, Doctor Who has presented a bewildering array of alien technology and gadgetry. Human scientific knowledge can do nothing to explain the mysteries of the astonishing devices and phenomena that the Doctor takes for granted. This is the first publication devoted to the incredible ideas that the series has made its own. 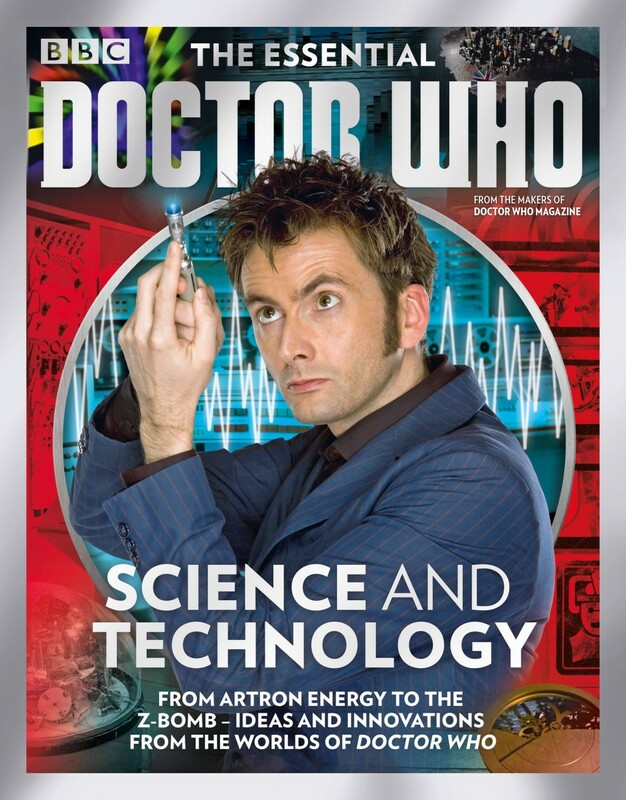 Highlights include a comprehensive guide to the sonic screwdriver, the secrets of the Time Lords and the weaponry of the Doctor’s most dangerous enemies. 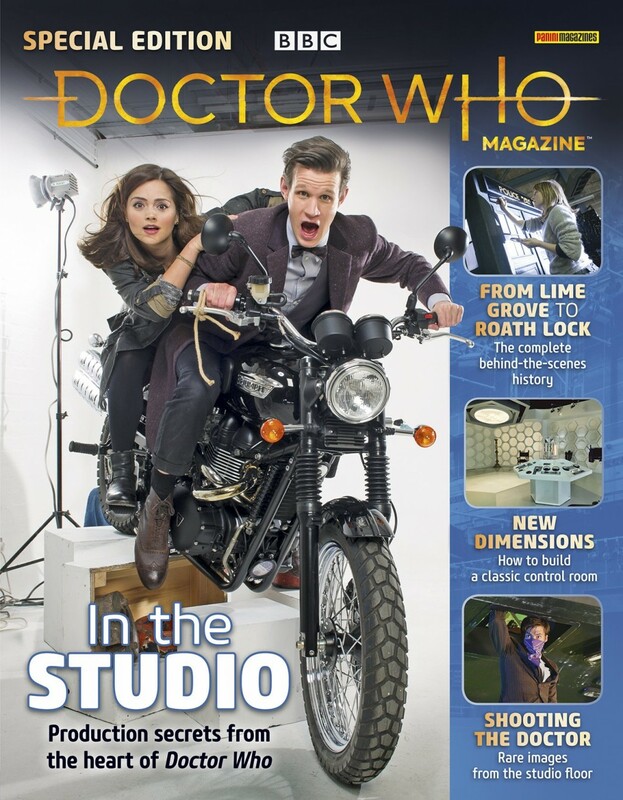 PETER CAPALDI, SUSAN CALMAN AND COSPLAY IN THE NEW ISSUE OF DOCTOR WHO MAGAZINE! In the 1960s Beryl Vertue was Terry Nation’s agent – now she’s Steven Moffat’s mother-in-law! Beryl discusses an association with Doctor Who that began before the first episode was even transmitted. The comedy writer recalls his friendship with Dalek creator Terry Nation and the role he played in The Dalek Outer Space Book. How did the Daleks become so popular in 1964? And why did they suddenly disappear three years later? The BBC’s archive gives up its Dalek secrets – including details of the prototype toys that were never manufactured. Previously unpublished quotes from the last four years reveal a new side to the man who played the Twelfth Doctor. Comedian, Strictly Come Dancing favourite and now Doctor Who writer – Susan Calman discusses her love for the Time Lord in this exclusive interview. The organiser of Comic Relief’s ‘Breakfast with the Doctors’ event explains how she managed to unite seven Time Lords, two companions and a showrunner. In the first part of a new regular feature, Christel Dee presents a guide to recreating Ace’s jacket. A detailed survey of Doctor Who’s television ratings during the Peter Capaldi years. This issue’s Fact of Fiction explores the 2006 story featuring the Tenth Doctor and Rose. Part Four of The Phantom Piper, a new comic strip adventure featuring the Twelfth Doctor and Bill. The Blogs of Doom, previews, reviews, news, prize-winning competitions and your letters. 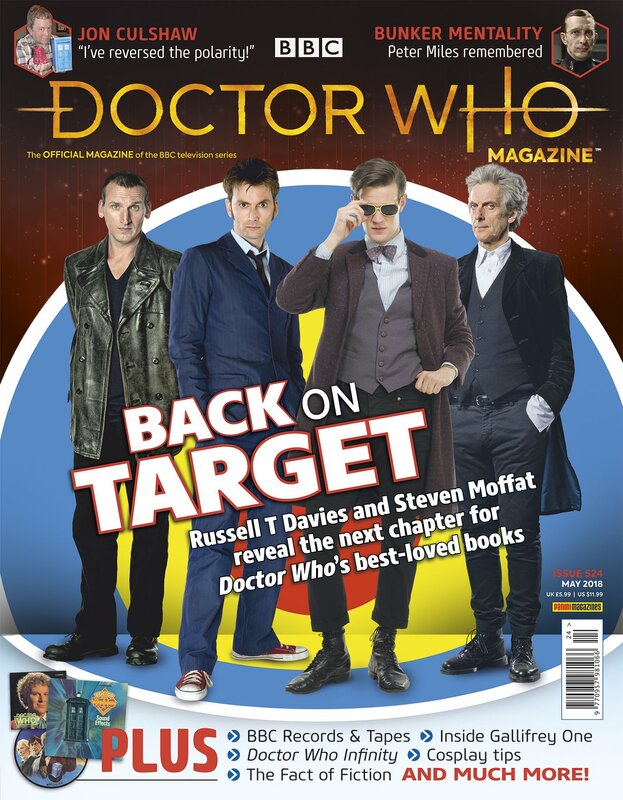 Doctor Who Magazine 522 is on sale from Thursday 8 February, price £5.99.